Mobile offers of refund to its radio auditors. 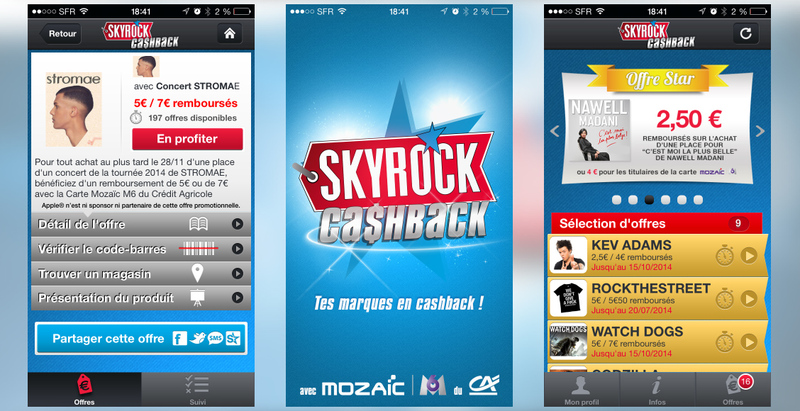 Skyrock, a french radio, offers with its app “CashBack”, mobile offers of refund to its auditors. Create a dynamics between the radio and brands. Set up modules of bulk notification to support the development the customer loyalty.